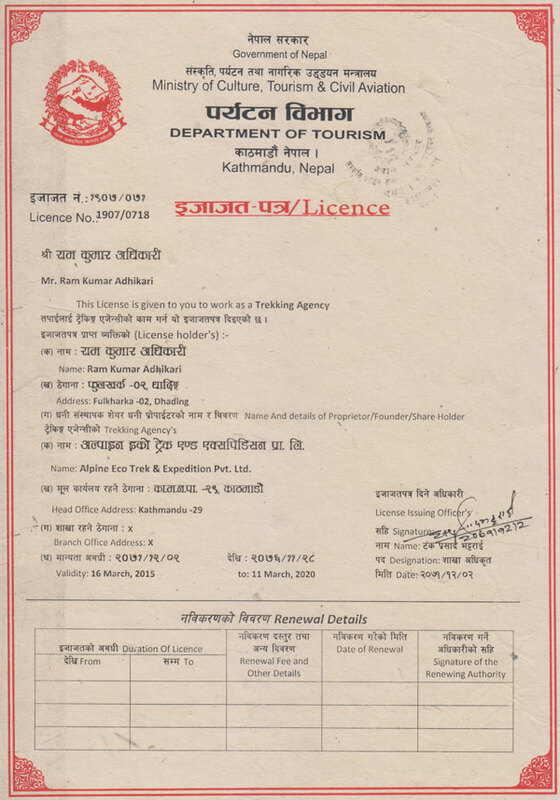 Alpine Eco Trek (www.kailashtourtrek.com) is a fully registered and licensed travel company in Nepal and Tibet offering you secure travel arrangements to Mt. Kailash region and central Tibet committing to make your holiday safe and enjoyable. 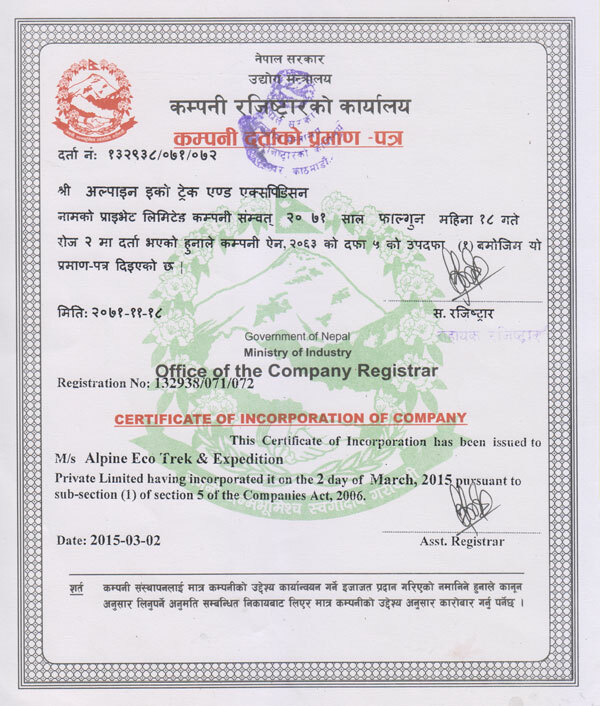 At Alpine Eco Trek, we take pride in the fact that every single porter and guide employed by us is not only well paid but also protected by a life insurance policy. 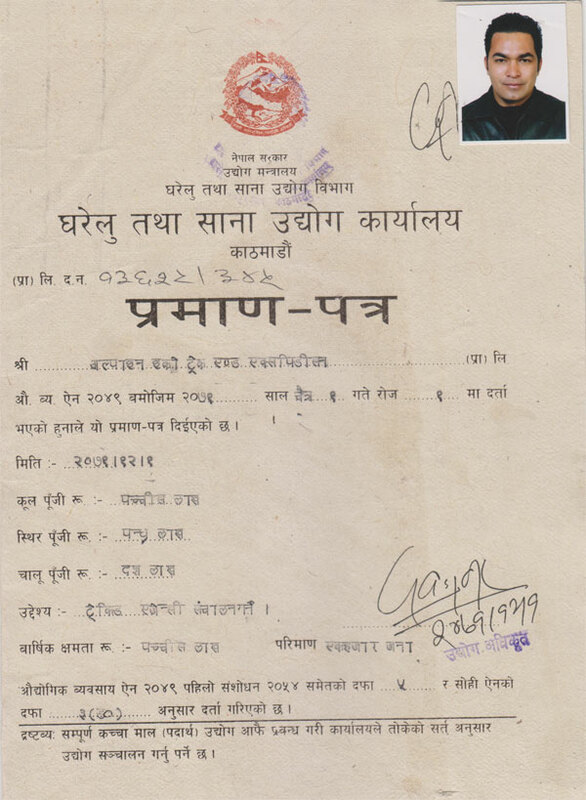 They are provided with warm clothing and proper shelter on all high altitude treks. 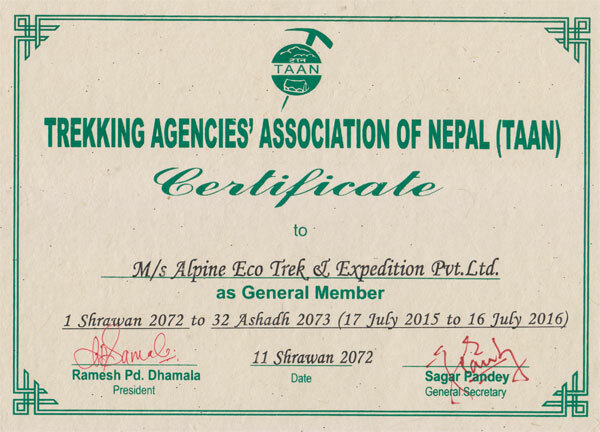 All our treks benefit the village economics by using local services (manpower, produce, lodges and other services). We ensure that all our staff is well paid, insured and properly equipped. We are committed to responsible tourism. Alpine Eco's policies aim to ensure that our expeditions comply with policies which are socially, environmentally and culturally sound. 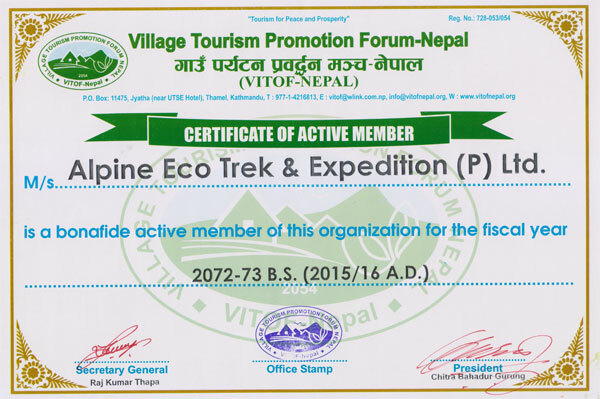 We feel strongly that all our treks/tours should protect the environment by minimizing pollution, respect the local traditions, religion, heritage, and benefit the local communities. We tread lightly. Low impact trekking/touring is the best way of preserving the beautiful and fragile places we visit. A qualified professional has been hired to maintain our books. Additionally, a government approved tax auditor prepares the profit and loss statement and balance sheet at the end of each fiscal year. On the basis of this, we pay 10% of our profit to the government. We are clear of all back taxes and have paid our taxes in advance for the current year. 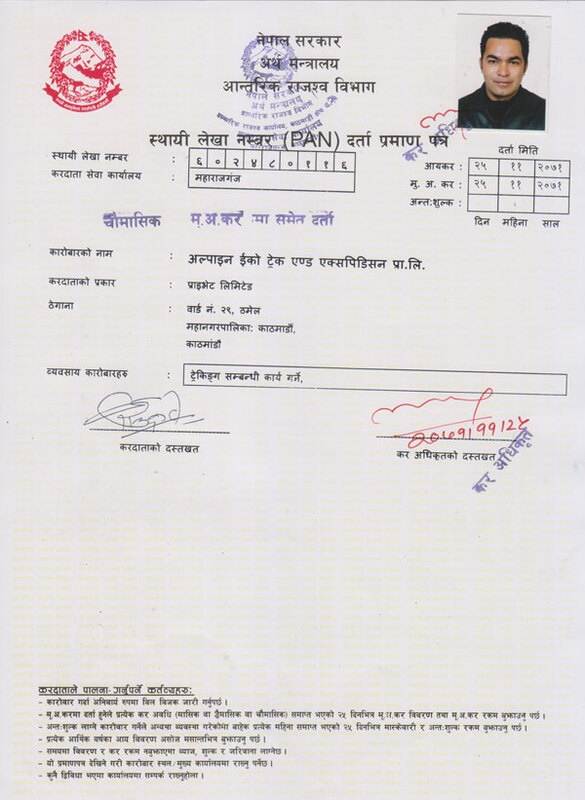 Nepal Investment bank limited, which is the leading bank of Nepal, is our guarantor. As per the existing rules and regulation, we maintain a balance in this bank sufficient to cover any claims of refund from or compensation due our clients. The money you pay us for your trip is secure. BANK'S NAME: Nepal Investment Bank Ltd.
Sincere thank for your visit, we look forward to hear from you. Our website contains as much information as possible about Tibet tours and Treks. However, if you have any questions regarding trip, please feel free to contact us. We answer all enquiries within 24 hours. If you want to book a trip, you can send us an email or contact us directly by phone: 0977 98510 36844 (Ram Kumar Adhikari).